This is lovely. I find myself gravitating more and more towards the classical. This lovely gem is by Shelton, Mindel & Associates. What gorgeous molding on the ceiling! And while the cabinets have a more classic design, they are still clean looking and streamlined. Just up my alley. 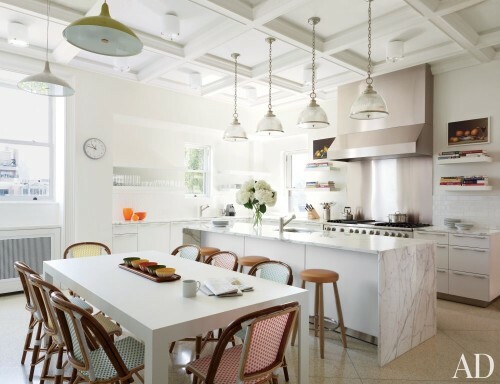 Lovely french bistro chairs fit the kitchen nicely.